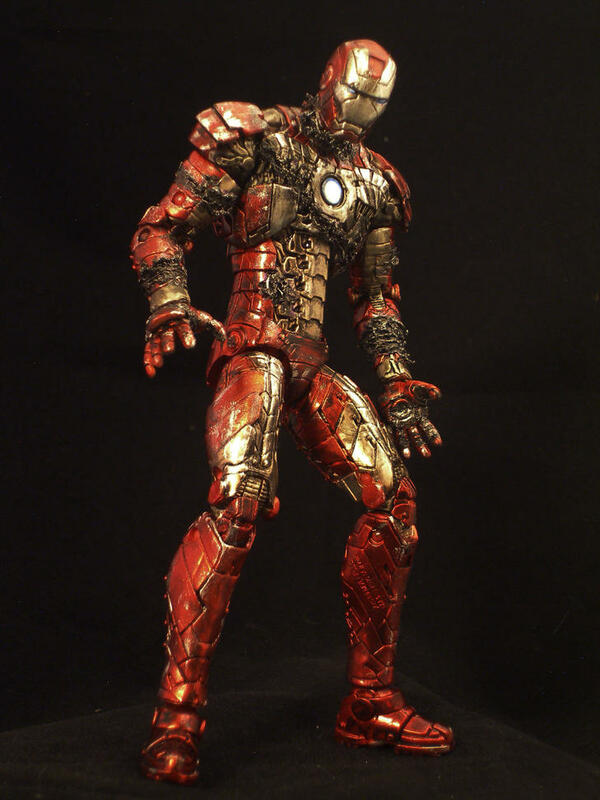 Long time members of the Toyark should be familiar with the custom work of forum member sabretoothe. We’ve featured multiple customs by him in the past. 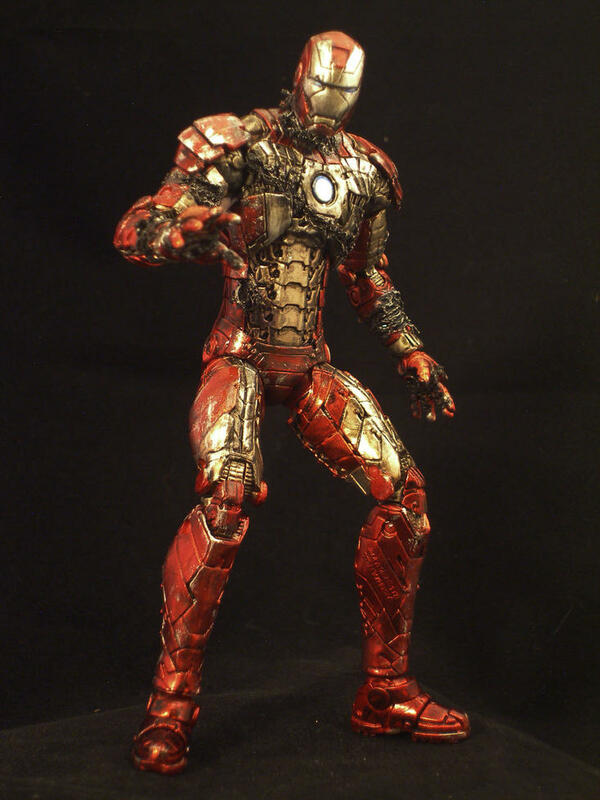 Today we present his 6″ Iron Man 2 Battle Damaged Mark V for our Featured Custom. Check out the photos by clicking the headline of the story. 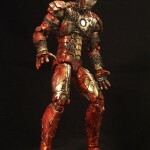 If you have a custom figure that you are dying to share, come by and post it in our Customs Completed Project Forum. thanks, i did use a heated tool on him, it was the only way to get the look right! So badass! Nice job man! Bro....looks like Whiplash did a little more to him off screen!!! Love the damage!! Talent man! You got it.